Facade help .....i’m at the end of my creativity! Hi houzzers I need serious help my slab is being poured next week and I still haven’t chosen a brick! my thought process to date please tell me i’m on the right track and my colour scheme will work, but what do I do with the parapets & columns? Fussycat - I think your issue is not creativity but visualisation. Get the draftsman who did your 3D image to put your proposed colours onto the image. They will probably charge extra, but will give you peace of mind, or make you realize that you need to reconsider your options. You actually have quite a lot happening in a small elevation, and as it is probably too late to change any of the design or details, I would keep my palette as simple as possible, and focus on your brickwork selections (as they are ordered first), then work from there. 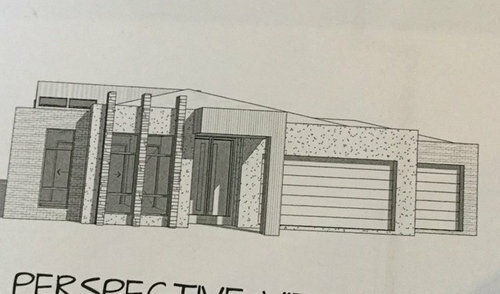 If your draftsman doesn't deal with colour selections then you should reach out to a design professional who does deal with exterior selections, who has done it lots of times before. Bedroom recess, I'm out of ideas! 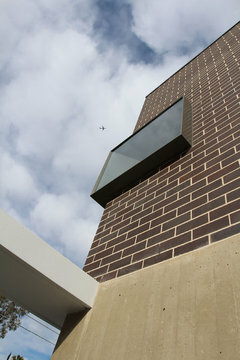 Facade ideas on new house. Help! Should I render or paint my 1970s facade? I’m stuck with this ugly facade? ?